Nokia Mural 6750 a unique mobile from Nokia is loaded with stunning features in sleek compact folding design. This sleek clamshell style phone is available in illuminating cover colors namely blue, green, pink, orange, red and purple. The cover lights up when the user opens and closes the phone or while making a call and messaging. Nokia Mural 6750 features a bright TFT display screen of 2.2 inches with a high resolution of 240 x 320 pixels and comes with 16.7 M color for chirp clear display. The 2nd screen that is the frontal screen comes with a hidden OLED display of 1.36 inches and 128 x 160 resolutions. 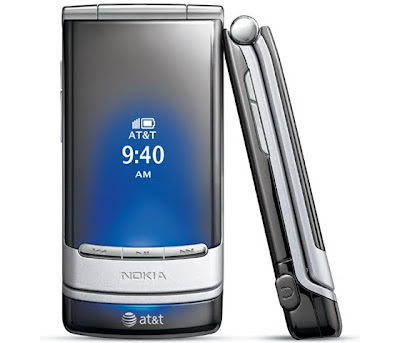 Nokia Mural 6750 is available with AT&T connection in which the phone is priced only at $49.99 (USD) with 2 years of customer agreement and mail in rebate. The phone is available in stores from September 19, 2009 onwards. thanks Pooja for your comment and adding another valuable resource of nokia mural 6750 review.